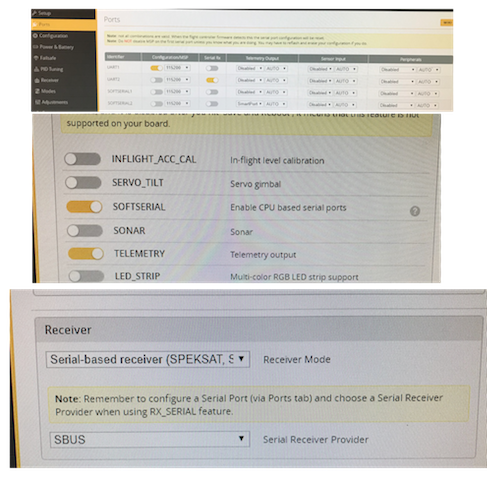 FrSky R-XSR, no Channel receiver bands moves in Betaflight... Need Help! I just switched from Spektrum to FrSky on my 4 quadcopters. I do have a connectivity issue it seem, but it is pretty weird as it behave, or not behave... I spent a lot of time troubleshooting, please let me know if you have anything else then: 'it should work'! I am willing to try anything, I am sure 2 brand new Rx and that Tx are broken???? 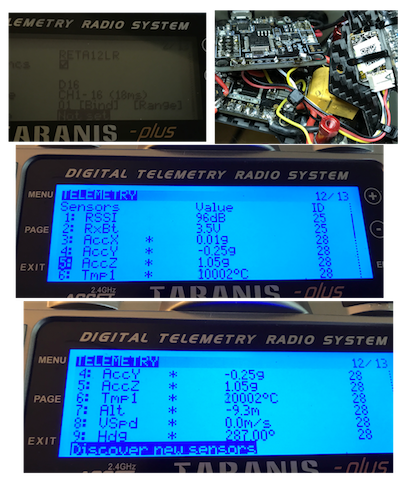 Connected with: Sbus + Telemetry. Got: Solid Green + Solid blue LEDs. So, should be bind properly. Got: 9 Channels of Telemetry on my Tx. So, it does communicate this way. On Betaflight, NO Receiver inputs whatsoever. So no luck, still no seing the Receivers bands moving with the sticks in the Betaflight Tab. Is there anything I should try in my settings? Thanks so so much for the help! Looks like you have the s.port telemetry from the FC to the R-XSR working correctly, but the SBUS from the R-XSR to the FC is not working. Possibly connected to the wrong port. SBUS should go to an RX pin, and s.port should go to a TX pin. Not familiar with the NAZE pinouts to be much help there. The pictures showing the connection between the RX and FC, and the ports tab are pretty small, I can't make out the details. 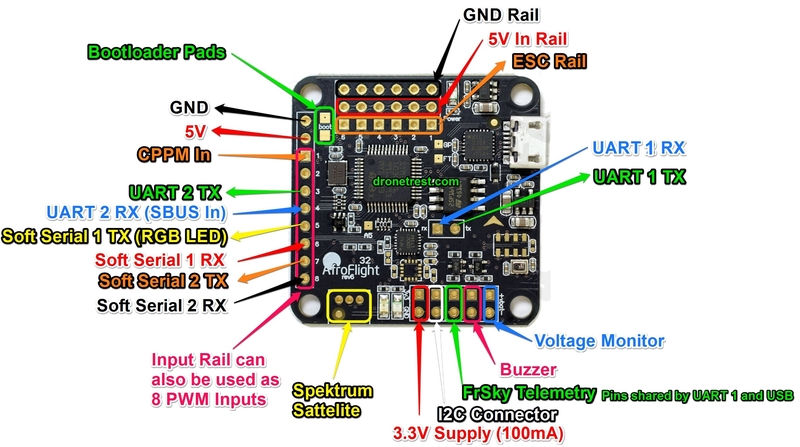 Do the Betaflight gui version match the firmware version of the FC? This pic makes it look like it's UART2. Managed to zoom in an see the details. Ok, I see what is going on. You are using the white wire from the R-XSR which is the sbus input to the RX for failover. You should be using the Green Sbus out wire not the white one.